(Insert bad joke here about this being my second post this week of items that I have reviewed for a now second time.) So I thought that these were sold out as I haven’t seen them in a while. Maybe someone hid one and I found when it was put on the shelf. 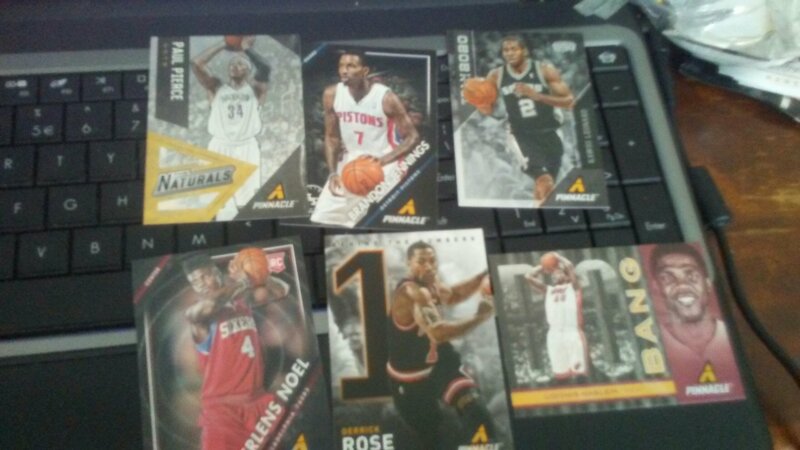 At $12.99 with 2 jumbo packs, I took the flier again. 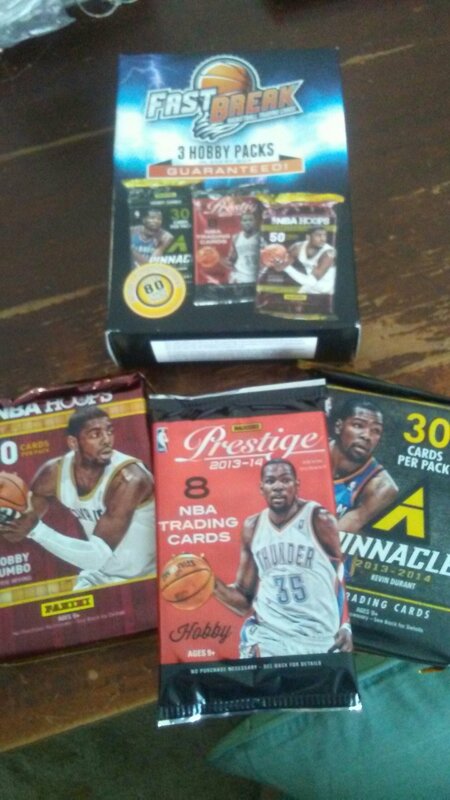 You can find my first review here: Random Review: Fast Break Walmart Hobby RePack Product Knowing that I would get what is pictured, and being a fan of Pinnacle and Prestige this was an easy choice for me. 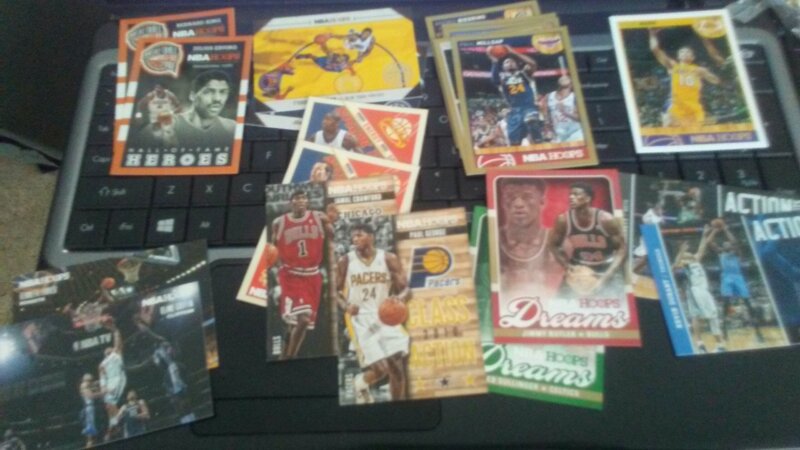 The Hoops pack was, as usual, loaded with inserts. Nothing flashy to my knowledge but not much junk either. The Steve Nash Lakers card is a proof. I separated it into my commons pile but caught it. 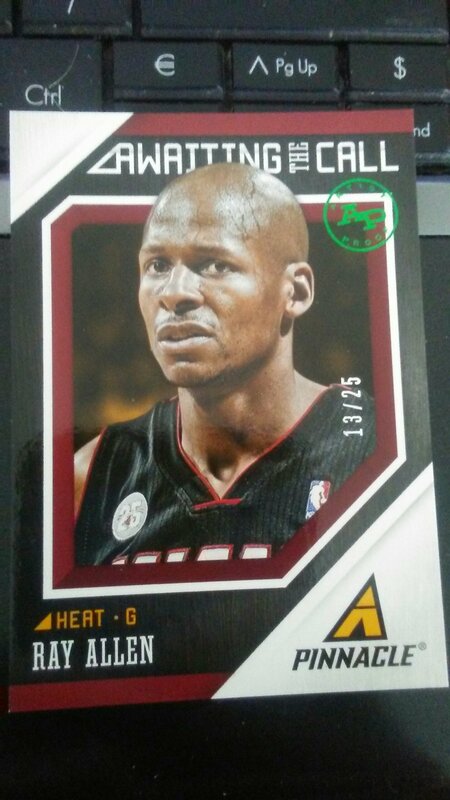 Like last time, I was expecting a jersey card from this pack when I picked it up – after I opened the box as it otherwise unsearchable. Unfortunately what I felt was a decoy card. I didn’t know that they put decoy cards in jumbo hobby packs. Another artist proof was pulled in this pack; actually two proofs. 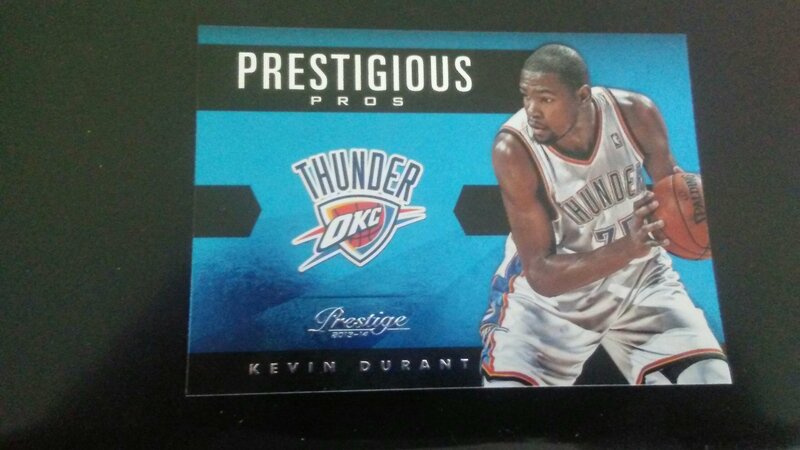 Like this proof numbered to 25 of one of my all time favorite players ever. I know that most of you are tired of the Prestige act and so am I to be honest. I have no reason to open more packs, even with the following hit. This is consciously one of the last posts of my Prestige collection. I opened the Prestige pack first, not expecting anything at all. What I ended up was a case hit of a premium player. I didn’t have this card and thought that it was out of my price range. Realistically if I found the right buyer I could get $18 to $50. This isn’t going anywhere though. I know that most of you are tired of the Prestige act and so am I. Despite this hit, I have no reason to open more packs. This is consciously one of the last posts of my Prestige collection.